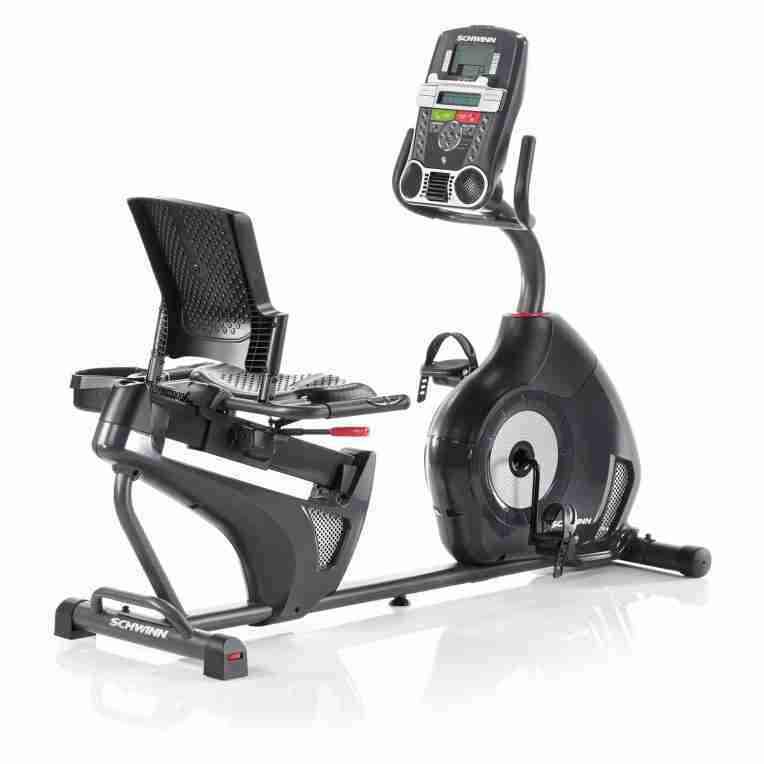 POSTS Schwinn Recumbent Bike 230 vs. 270: Which Is Right For You? 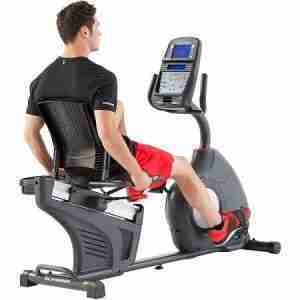 There are two types of exercise bike available, the upright and the recumbent. The difference is more than just in appearance. Cycling has been shown to help prevent cardiovascular disease in older people. The recumbent keeps you safe while exercising a wide range of muscles. I know from personal experience this is true! As an avid cyclist I am used to cycling many miles without aches. But, just ten minutes on a recumbent had me working muscles I’m not sure I even had before! The problem with recumbent is that there are so many to choose from. You can’t get all to test them like I have been able to. Fortunately I’ve been able to compare the Schwinn recumbent bike 230 vs. 270 with ease; I have been alternating on them for the last 2 months. As such I can happily recommend the Schwinn 230. This is the cheaper of the two but it has the same build quality and the majority of the same parts. Unless you’re a professional cyclist the 230 will offer everything you need to get in shape and stay there. This recumbent has a surprising amount of features, especially for a mid-range bike. What’s really great is the comparatively small footprint and the ease in which you can start using it. You’ll never have an excuse to miss your daily exercise again! The majority of recumbent exercise machines are designed as a walk through. This simply means there is no bar in the way when you want to get on or off your machine. Although a simple and common addition it is worth noting; getting on and off the machine is easy. No matter what your current physical condition. 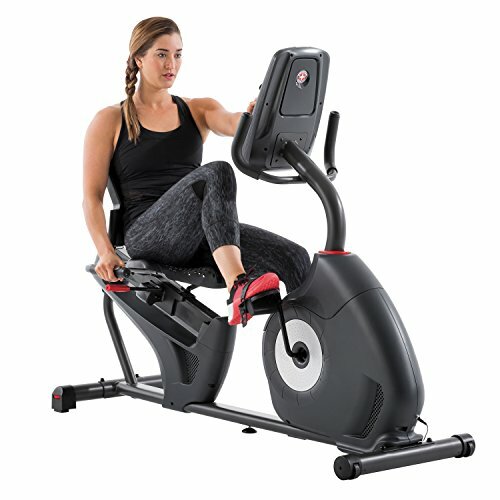 Of course, a recumbent such as the Schwinn 230 Recumbent Bike is also closer to the ground than an upright exercise bike; making it even easier to get on! There are 22 different workout programs. These can be easily accessed from the color console. You can also select your resistance level; it can be easily read while exercising because it is displayed as a chart. Pre-set programs include heart rate, custom, fitness tests and a quick start mode. You’ll be able to see the speed you are dong, the distance, calories burned and even your heart rate! ; Of course, you’ll need to grasp the inner handles to monitor your heart rate; this is where the reader is. An excellent part of this feature is the ease in which you can change between resistance just by touching a large button to the side of the display. 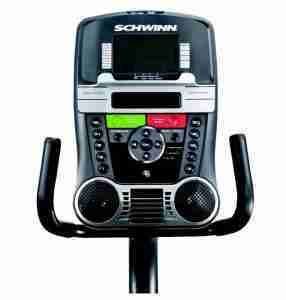 Schwinn have been creating exercise equipment for year and it shows in the quality of the design. There is a little construction to do when you first get the Schwinn 230 Recumbent Bike. But, the main frame is a single piece. This ensures it is strong. The 3 levelers are perfect for ensuring there is no movement if your floor is slightly uneven. You’ll also find the small wheels at the front make it relatively easy to move round if necessary. There is no doubt that this machine is built to last. A great feature is the built in USB Backup. This allows you to save all the details of your workout and then upload it to the fitness app of your choice. You can then track your progress and adapt your workout or even share your results with others. It is worth noting that the Schwinn 230 plugs in to your normal home supply; this enables all the features. The Schwinn 230 Recumbent Bike has a 2 profile storage system. All you need to do is enter the age, weight, height, gender and your preferred workout values. This will give you more accurate tracking although it is possible to use the bike without creating the profiles. The bike can handle people up to a maximum weight of 300 pounds. You’ll also be pleased to spot a water bottle holder which places your water in easy reach while exercising. There is a 3 speed cooling fan to help you maintain your cool while exercising. In addition a shelf is provided to hold your tablet, ipod or even a book. This should help to maintain your focus while working out. It is worth noting that the Schwinn 230 Recumbent Bike is very quiet. You can watch television with the family without disturbing them. The flywheel is 13 pounds. This should be adequate for any beginner but may not offer enough resistance for those who have been exercising for a long time. This is why the 230 is a mid range machine and not a top end one. There have been reports of poor packaging which has resulted in parts of the Schwinn recumbent bike 230 arriving damaged. This is why you need to ensure you check the packaging thoroughly before accepting your bike. You will be able to get replacement parts issued, free of charge; providing you’ve signed that it was received damaged. This is a personal preference but worth mentioning. The seat is plastic with holes and contoured to your back. Some users have complained that it causes them to slide and is not comfortable. I didn’t experience an issue with this. There is a user manual but it is not included with the machine. You need to go online and download it. This is a shame when you are paying good money for the 230 recumbent. This is also a good bike but in a direct comparison of the Schwinn recumbent bike 230 vs. 270 it comes off worse simply because the addition features are not always necessary. The fact that it costs more does not help! The Schwinn 270 Recumbent Bike has a little more of most things than the 230. But the majority of these additional features are not ones that you will use. There is no doubt that this machine is well built. The solid, single frame constructions ensures it will last while the 3 built in levelers will help to make sure you get the most from every work out. It is a walk through but the seat is higher than the 230, this makes it slightly more difficult to get on than the 230. Of course, it is still much easier than the standard upright exercise bike. You should be able to adjust the bike to accommodate people between 4ft 11 inches and 6ft 3 inches. The 230 offers 2 user profiles. The Schwinn 270 goes a step further with 4 users. You’ll need to decide how many people are going to be using it and need to have a user profile to calculate if this is a useful extra feature or not! The information can be saved onto a USB stick and then transferred to your favorite fitness app. There are an impressive number of programs. These include quick start, heart rate, fitness test, recovery test and several customizable options. Again, the 25 levels of resistance can be easily changed while exercising; just by pushing the large button on the console. You’ll be able to access your speed, time, distance, resistance level, heart rate and even the calories you’ve burned. You can use the built in hand grips to monitor your heart rate. Just like the 230 you’ll benefit from a shelf to accommodate your tablet, iPod or even a book. There is also a useful water bottle holder and a built in speaker system to allow you to enjoy your tunes. The centre of the machine also houses a fan to help keep you cool while you exercise. But this machine is not perfect! Several users have commented that the fan doesn’t have enough power to cool you when you’re working out hard. This makes it an attractive but ultimately useless addition to the machine. I have to say I agree with these users. The manual that arrives with the machine will help you to get it set up. But it won’t provide you with access to all the programs. For that you’ll need to download it online which will be frustrating when you are eager to get started. There have been a number of reports regarding the poor packaging of the Schwinn 270 Recumbent Bike and how parts are arriving damaged. Be sure to check the condition of the box before you accept your delivery; it will make the process of getting replacement parts for free much simpler. Although the flywheel is perimeter weighted to improve stability; it still offers just 13 pounds of resistance. The same as the 230. This is enough for a novice or someone who has been exercising for a while but it doesn’t match the intended market with the additional programs and resistance levels the 270 had. The flywheel should be heavier. The bottom line is that you’ll notice these two machines are very similar. They both offer a good workout but the lower price of the 230 combined with Usable features makes it the better choice for most users. It is certainly the one I would choose.